The other day I was grocery shopping and I found a bag of colorful heirloom carrots. They sat in my fridge for awhile until I finally determined I should cook them. I did a simple saute with a bit of olive oil, butter, and brown sugar and these were the best carrots in the world! 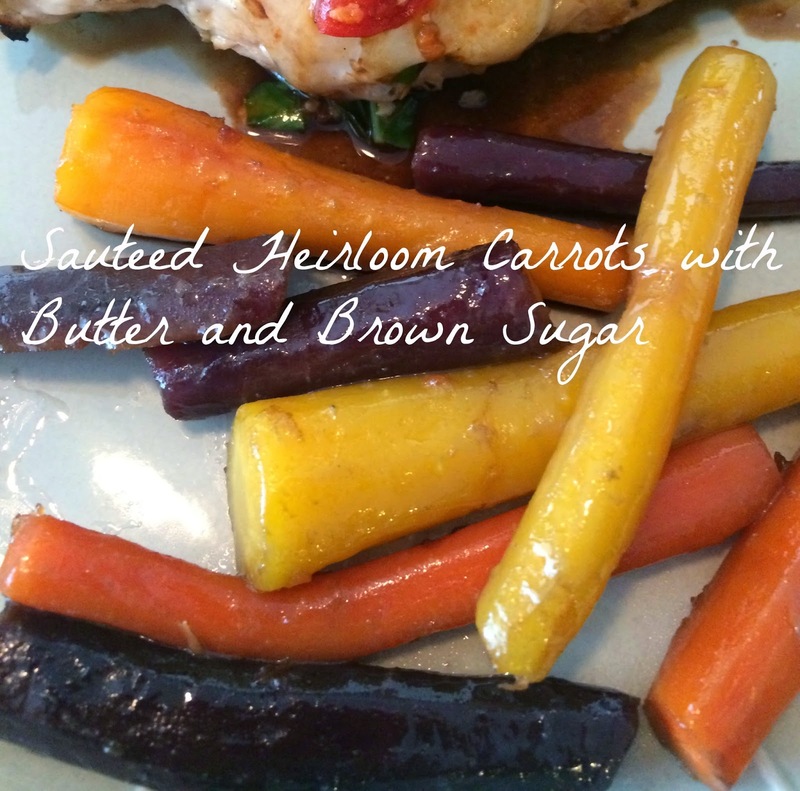 I served them with Caprese Chicken for a light and healthy meal full of veggies! You can use regular carrots for this recipe as well, but I highly suggest heirloom if you can find them. Each color had it's own taste and they look so beautiful. Wash carrots and cut ends off. Peel the carrots if so desired. I lightly peeled mine. Cut carrots into uniform pieces. Heat butter and oil in a sautee pan until butter is melted. Add in the brown sugar and stir until it is melted into the butter. Add carrots and saute uncovered until done. Keep an eye on them and constantly toss and stir them so they don't burn. This will probably take anywhere from 5-10 minutes, but keep piercing with a fork and testing for desired doneness. The carrots are naturally sweet and the saute brings it out, so you could omit the brown sugar if you'd like.